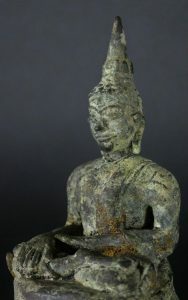 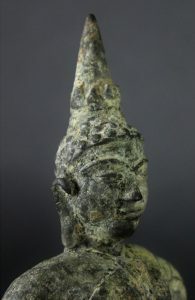 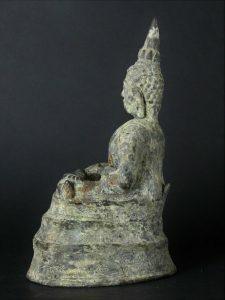 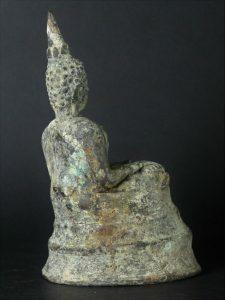 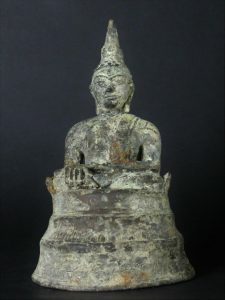 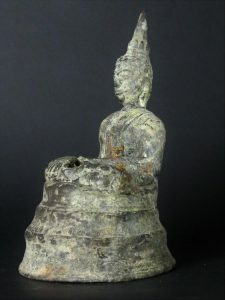 Excavated Buddha north of Thailand 16/17th century Very nice detailes in the bronze base. 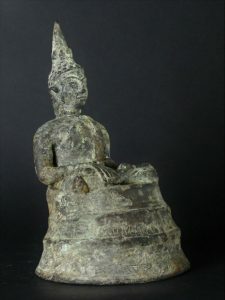 Has a Folk feeling. 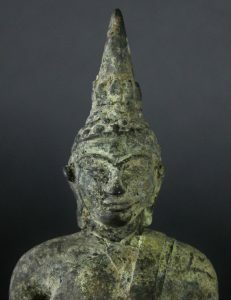 Probably Chiang Sean.